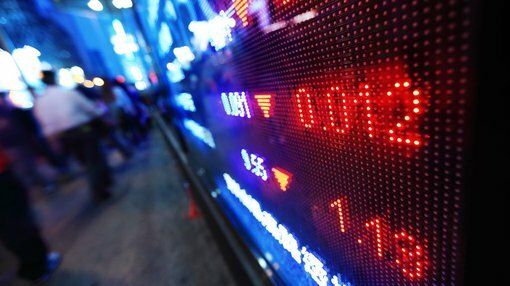 In the first full session’s trading since the Trump administration had to withdraw its healthcare bill, US markets and investors demonstrated substantial uncertainty falling from the previous day’s close of 20,596 points to hit an intraday low of 20,413 points, a decline of approximately 0.9%. However, a mid-session rally resulted in the index hitting a high of 20,578 points before closing at 20,550 points, down 0.2%. While there hasn’t been a substantial sell down on any one day, there were alarming signs in early trading and it should be remembered that today marks the eighth consecutive fall in the Dow. The NASDAQ bucked the trend, gaining 0.2% to close at 5840 points. European markets also responded negatively with most of the heavy selling in the UK occurring in the first hour or two of trading prior to the US market opening. The FTSE 100 fell from the previous day’s close of 7336 points to hit a low of 7256 points before closing at 7293 points, representing a decline of 0.6%. The DAX was also down 0.6%, closing at 11,996 points. The Paris CAC 40 was relatively flat, closing at 5017 points. Uncertainty was the common denominator in all markets and in this environment gold found support, at one stage hitting a high of US$1264 per ounce before closing at $1257 per ounce, a gain of 0.5%. The oil price fell heavily in early trading, hitting a low of US$47.08 per barrel before recovering to close at US$47.80 per barrel, down 0.3%. The iron ore price fell 4.1% to US$81.57 per tonne. With weakness also in base metals, mining stocks are likely to come under pressure. Glencore plc and BHP Billiton plc fell 4.3% and 3.8% respectively overnight. The Australian dollar is fetching approximately US$0.76, broadly in line with the previous day.